Neural stem cells. Light micrograph of self- renewing neural stem cells taken from the brain of a mouse embryo. 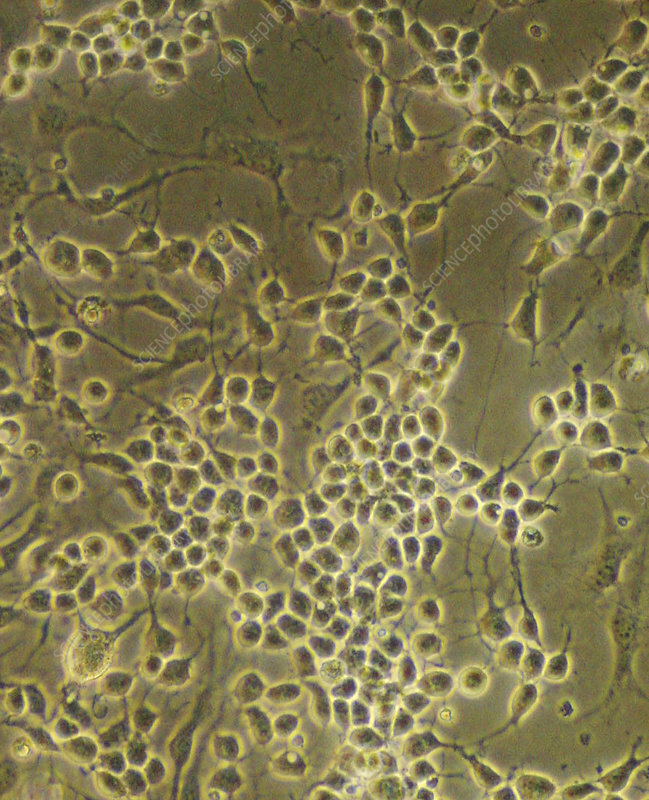 These stem cells can differentiate into neurons (nerve cells) or support cells (glial cells). Embryonic stem cells are a potential source of cells to replace damaged or lost brain cells.